ZHAW is one of the prominent Swiss universities located in Zurich Canton. 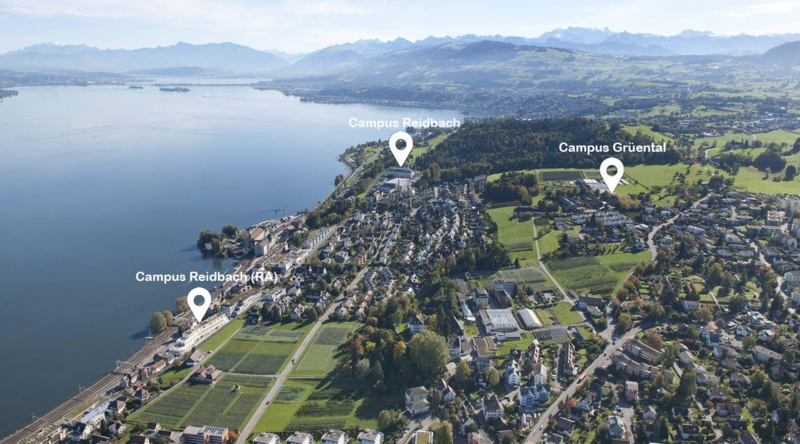 Each respective institute has several campuses in three cities: Winterthur, Wadenswill and Zurich city. I studied in Institute of Natural Resources, located in Wadenswill, with three splendid campuses in different parts of the city. 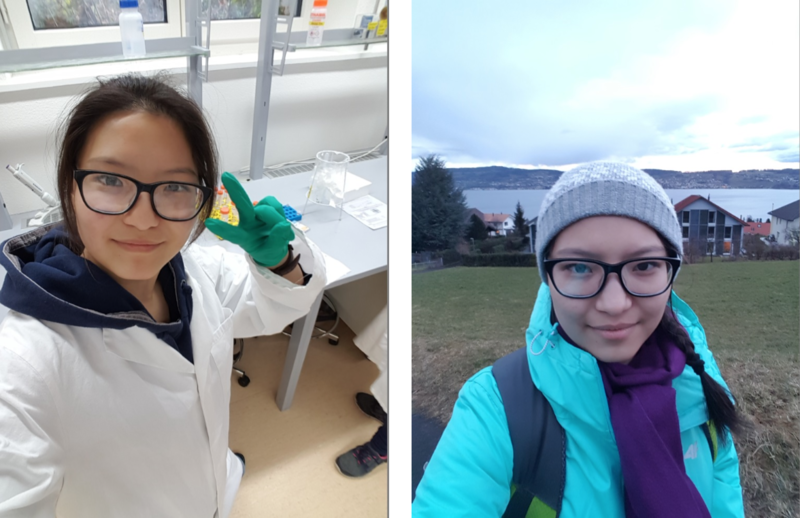 I took the several courses: Geographic Information System, Basics of nature management, Applied ecology, Water, Energy & Wastewater, Environmental Analysis, English for Environmental Engineers 2 (Advanced), Molecular biological analysis and application, German for foreigners. More detailed information about each course is available on the website of ZHAW . In general, ZHAW puts a lot of emphasis on applied part, that’s why there were a lot of laboratory and practical works. That was very interesting. For lab works there was dedicated huge campus with more than hundred lab rooms. I was truly happy to see complicated machines, such as famous CRISPR Cas9. The fieldworks and site visiting gave me a lot of experience. The professors were all competent and proficient in the corresponding fields. Administration staff was very helpful and did their best to help me as much as possible. I am still very grateful for their assistance. Regarding the extracurricular activity, there are many things to do in Switzerland. You can participate in the festivals or pride parades. I was lucky to come during the festival week in Switzerland, the most splendid ones were in Basel and Lucerne. You can have an opportunity to do different sports for free. ASVZ organization in collaboration with ERASMUS Network provides sports activities for students. I personally participated in Circus&Acrobatics and was learning how to keep balance on the rope and to joggle. It was really fun. With my friends we tried different very “Swiss” things, for example, eating fondue together or making barbeque in the wooden house in Swiss Alps. Switzerland is a beautiful country with the lavish landscape, which I found very similar to ours. People are very polite and environmentally conscious, they respect their nature, respect each other and respect their future descendants. Either I was lucky or Swiss citizens are really so kind and generous as I happened to meet. The forests are really magical, there is the unique and cozy atmosphere in the air. The lakes and rivers are crystally transparent and clean and capable to accommodate the different aquatic species. Switzerland is a small country (smaller than Kyrgyzstan) with 26 cantons and each canton has own unique features. Interesting fact: Switzerland is not a part of EU because citizens want to maintain their independence and autonomy, but they are fortunately part of the Schengen zone. Roughly, Switzerland can be divided into three parts: German, French, and Italian with the respective main language. During my exchange, I was traveling around Switzerland and visited several major cities, such as Bern, Geneva, Lucerne, Basel, Zurich, etc. Each of them gave me a different impression, though this uniting Swiss pattern can be easily noticed in every city. My favorite city is Lucerne, very beautiful and lively city. I also took the opportunity and traveled around neighboring with Switzerland European countries. Switzerland one of the most prosperous and rich countries, therefore you have to be prepared that living costs are quite high. Public transport is very punctual and is never late. I lived in Wadenswill, 18 min far from Zurich city center. The first month I lived in WG (shared apartments) with my fellow students from ZHAW. They are all vegans and taught me their philosophy and cuisine. It was very exciting and interesting. I became true friends with them and later when we moved I visited them in their cozy mountain house. The rest 4,5 months I lived in the host family. My host mother was a very nice and generous woman. We cooked together, shared our cultures and even visited family gathering on Easter holiday. They were really kind and interesting people. I was lucky with neighbors as well. They were all friendly people. In conclusion, I can say that Switzerland is a very beautiful country and worth visiting at least once in life. ZHAW is a very competent university, specializing in the applied and practical fields. I highly recommend this program for EMSD department rather than Applied Geology. If you can afford the living costs and have no worries about finance, I guarantee that you will never regret this experience.